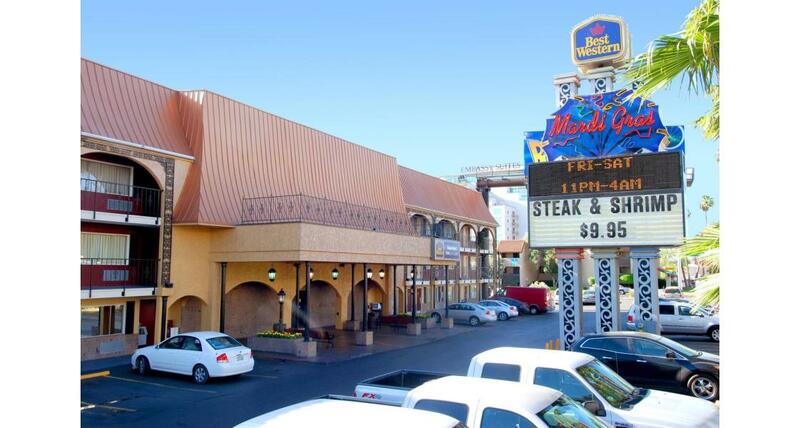 Hop the shuttle from McCarran International Airport to the Mardi Gras Hotel & Casino on Paradise Road, just two blocks east of the Las Vegas Strip, near the Las Vegas Convention Center, and you'll find a hotel well-suited to the Las Vegas business traveler. For starters, there are meeting and banquet facilities with on-site catering. The 300 plus rooms feature coffee and tea makers, in-room Wifi, an iron and ironing board, and refrigerator. 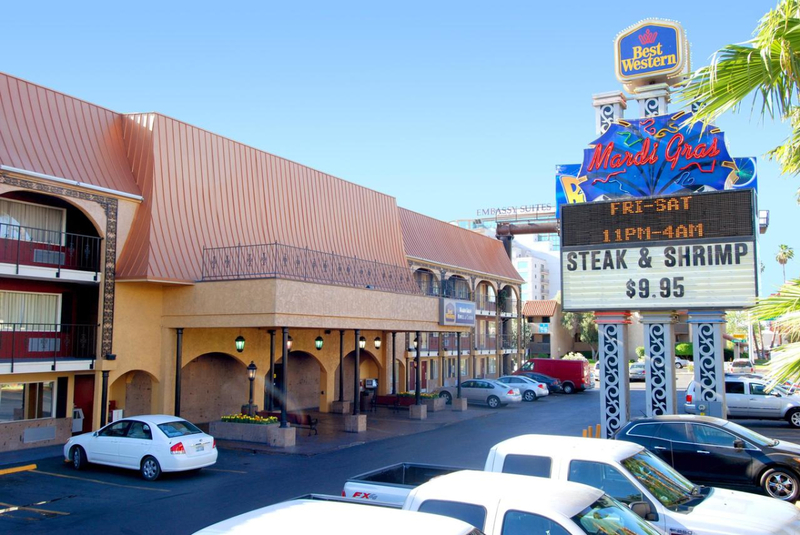 Located just 800 feet from a Las Vegas Monorail station puts the Strip and many convention and meeting facilities within walking distance of the Mardi Gras' front door. While the Bon Temps Cafe serves huge breakfasts, great hamburgers and steak specials, there are several local restaurants nearby: southwestern cuisine at Del Frisco's steakhouse, island specialties at Bahama Breeze, fresh seafood at McCormick and Schmick. The 24-hour Big Easy Casino offers a slice of gaming action with slot and video poker machines, as well as weekend lounge entertainment. If you're looking to unwind, take a dip in the pool or sun yourself on the second-story terrace.